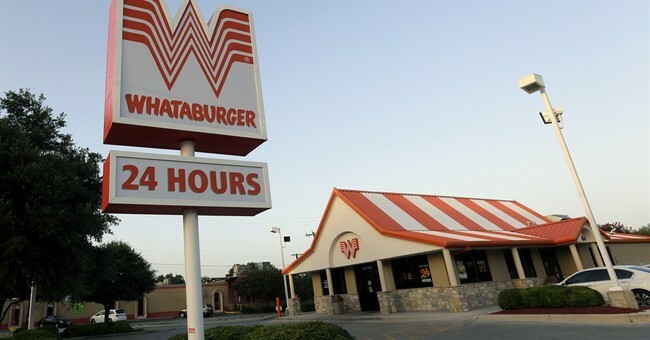 President Trump has heard about the young man who was assaulted at the fast food chain Whataburger for wearing a "Make America Great Again" hat. The attacker, identified Thursday as 30-year-old Kino Jimenez, snatched the hat off the teenager's head while he was enjoying a meal, threw his drink at him and cursed him on his way out the door - all because he didn't like his apparel. Jimenez was arrested Thursday for theft and Whataburger released the following statement about the incident. The Trump family, in hopes of making the young man's week a bit better, wants to replace his stolen hat with another one, signed by President Trump himself. Other figures, however, weren't too upset by the Whataburger spectacle. For CNN commentator Marc Lamont Hill, the teen apparently had it coming. Other Trump critics have taken it upon themselves to taunt Trump supporters or White House officials in public. Take the Red Hen restaurant owner, for instance, who kicked Press Secretary Sarah Huckabee Sanders out of her establishment last month. Rep. Maxine Waters (D-CA) appeared to encourage such confrontation in her now infamous speech. It earned her the nickname "low IQ" from Trump. Trump Jr. emphasized on Twitter that "no one should feel unsafe" supporting their president.